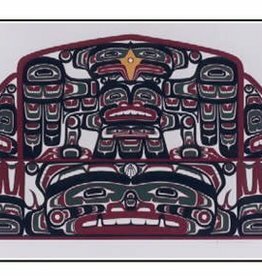 to the many nations of Kwakwaka’wakw people, as well as to the Tlingit of Alaska. newly rebuilt Big House in Alert Bay. A print by Kevin Cranmer.